OK so let me just give you guys the straight and skinny if some of you don’t already know. Basically, I re-relaxed my hair. I sure did. Three years ago, I stopped relaxing (chemically straightening) my hair and went all the way Au Naturale which was all fine and dandy to begin with, however it came to a point where for 3 years, I only wore braids as I couldn’t handle my wildly thick and increasingly tangled hair; natural afro hair and be INCREDIBLY high maintenance, and Steph just ain’t about that high maintenance life, get me? Freshly straightened, looking like YASSSSSS! So anyhoo, long story short, I am loving my relaxed hair and am taking all the lessons that I have learned about my curly hair/different products to incorporate a whole new hair regimen, as chemically processed hair needs to be looked after extremely well. So without further ado, here are some of the faves that I use! 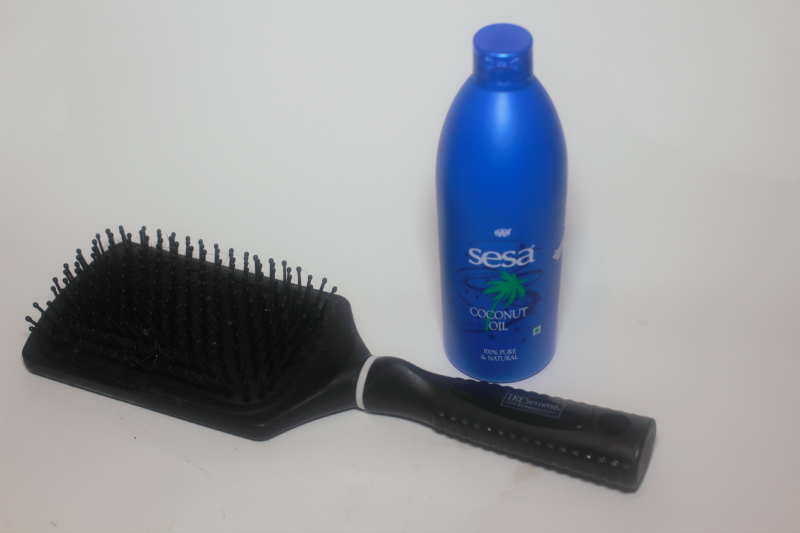 Call me weird, but I’ve always loved the sound of a paddle brush going through hair. Just me? ….Oh. Anyhoo, paddle brushes have always been a staple product in my stash. Paddle brushes are great for de-tangling and smoothing down hair; the ionic pins on this brush help to smooth frizzy hair and adds a bit of shine. I love it! Now look, I know there are huge debates about what kind of coconut oil to use and blah blah refined, blah blah unrefined etc, but to be honest; it doesn’t make an ounce of difference to me personally, because coconut oil is coconut oil regardless of how it is processed; it still does, and has been doing the same job it’s always done, which is moisturise and hydrate my hair. I do particularly love this brand however; apart from being very cheap (which is always a plus), it has a lovely light smell, it doesn’t take 6000 years to liquify and absorbs into my scalp effortlessly. I also use the oil to seal in moisture at the ends of my hair. I did a pretty in-depth review last year on these wonderful products, so feel free to check it out if you can! I will quickly say that since using the conditioner/masque, I haven’t looked back. 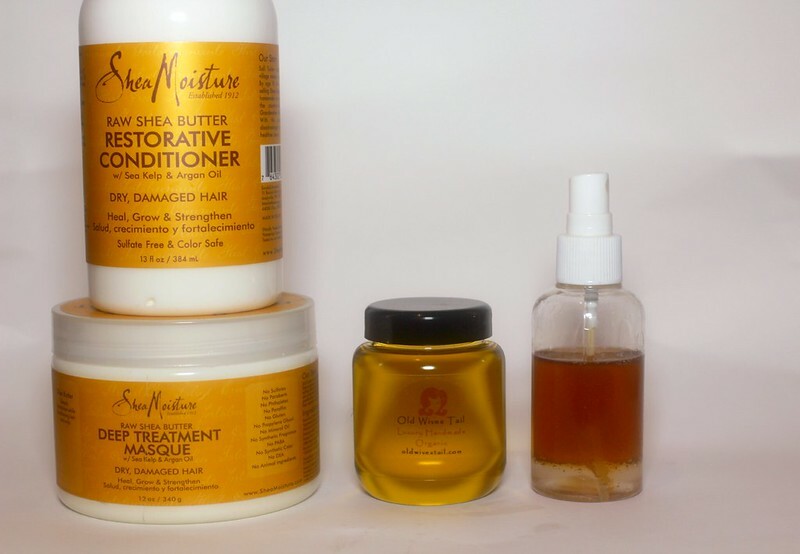 Although created with natural/afro hair in mind, I still use them as they inject as much moisture into my hair as possible, which is crucial for chemically processed hair. 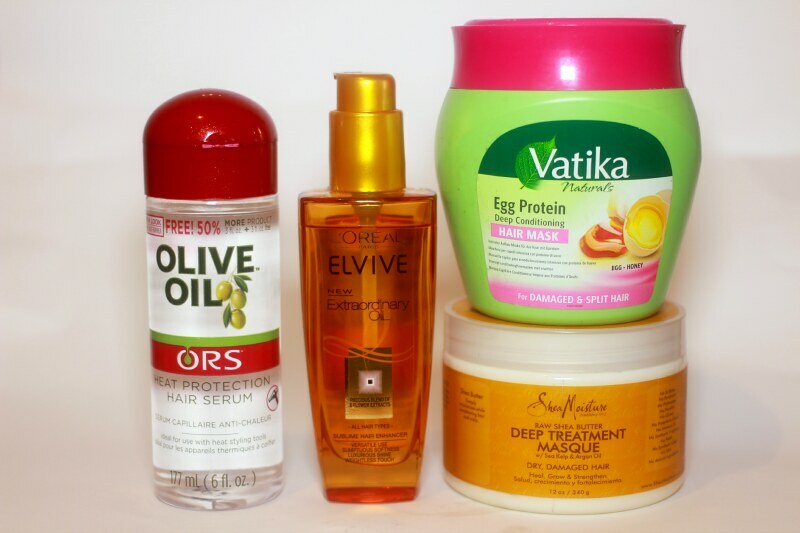 The conditioner and masque can be used on all textures of hair as long as your hair type is dry/damaged. 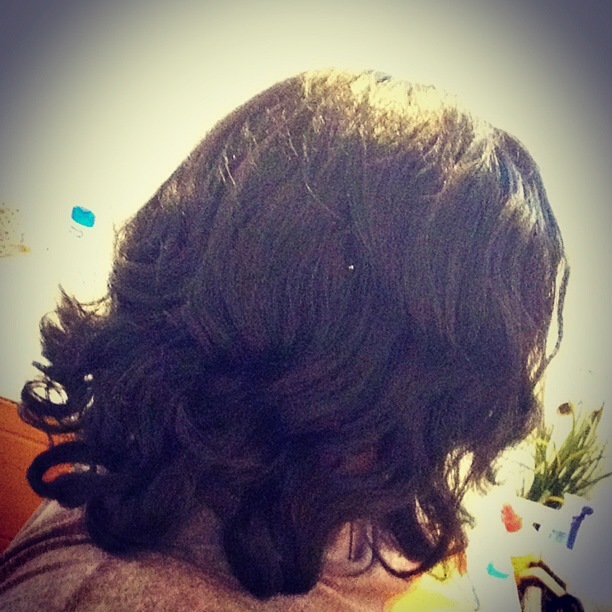 If you have relaxed hair, hot oil treatments are your FRIENDS. Trust me. Hot oil treatments keeps the hair strong and very soft by penetrating deep into the hair follicle and restoring/moisturising the hair back to health. I typically apply the oil (hot or cold) and leave it to marinate for about an hour before I rinse it out and wash/condition my hair. I will be doing a more in depth review of this at a later date though. …Or more specifically, Sunny Isle Black Castor Oil. This my friends, is one of the secrets to my hair growth success. It’s long been known that castor oil is one of the keys towards long, healthy hair. I’ve been using castor oil for about 4 years and it’s been great. A great oil to use especially if you tend to put your hair in braids/weaves. Because the oil is so thick, I mix mine with water and spray on my scalp twice a week. ORS (previously known as Organic Root Stimulator) has always been good to my hair; I love their products and this serum is no different. To state the obvious, heat protection is imperative, regardless of hair texture and type. I’m not really one to use heat that often as I air dry my hair and use twisting rods to curl, however if I do find that I need to give my locks the once over with a straightener, I run a small squirt of serum through my hair and it gets the job done. Sometimes, when I’ve finished air drying my hair, I will quickly blow dry it (on a low heat setting) for about 5 minutes. During this time, I sometimes use this oil as it makes your hair look so SHINY. It smells gorgeous too; however you only need a tiny amount (literally smaller than a 5p coin), as it’s a dry oil and disperses everywhere. LOOOOOOOOOOOVE THIS. Protein treatments are so important, as it restores the stripped hair with keratin and makes it strong and resilient. I use this mask every 10 days to 2 weeks and i’ll either use it alone, or add an egg yolk for something a bit more in depth. I leave the mask on from anywhere between 20 minutes to overnight then rinse. My hair seems to like this specific brand a lot for some reason. Completely forgot to add my shampoo, but for reference I use TRESemme Naturals shampoo which contains no sulfates or parabens. Do you of you use anything in this list? 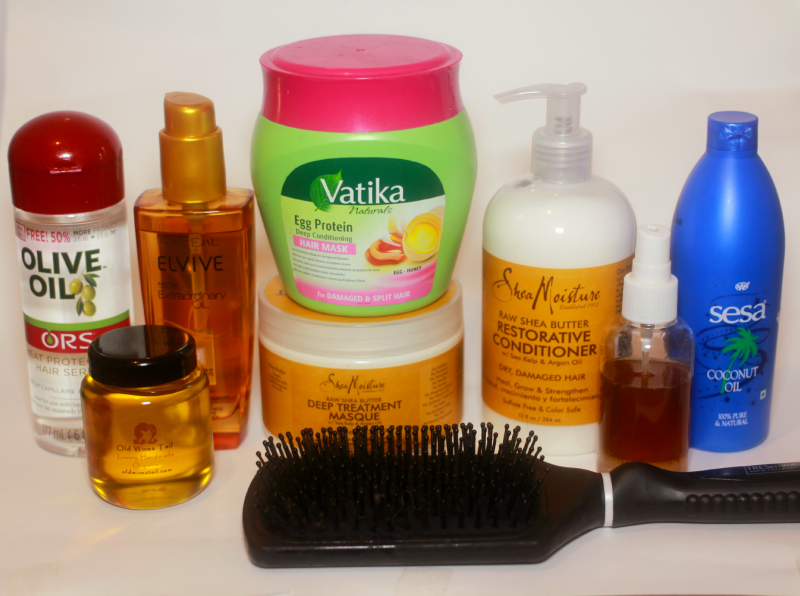 If you have chemically processed hair, what products do you use?